In the search to understand how heavily music can impact one’s cognitive abilities and reactions, a one-of-a-kind research facility came to life at McMaster University. Located on the second floor of the Psychology Complex, the McMaster Large Interactive Virtual Environment Lab was founded in 2014 by Laurel Trainor and Dan Bosnyak. The 106-seat auditorium and testing facility was designed to explore the experience of music, dance and multimedia presentations while considering how these art forms impact human interaction. LIVElab research often revolves around the social phenomenon of music as a whole conducting studies areound live concerts and looking into the impact of music on one’s social life. Trainor and Bosnyak worked to establish the LIVELab in an effort to continue the music cognition research that has been the leading focus of the McMaster Institute for Music and the Mind. MIMM is composed of 28 core members from various disciplines, including science, engineering and humanities and across multiple institutions including Stanford, University of California Merced, Western and the Rotman Research Institute. At any given time, the LIVELab is conducting a range of studies in collaboration with scientists, industry partners, health professionals, educators and performing artists. Studies surrounding performance anxiety, the effects of bodily movements on performers and audiences, the effects of movement in neurodegenerative diseases and the effects of various teaching techniques on attention span are featured regularly. Research at the LIVELab is aimed at the theoretical understanding of the impact music has on the brain, in addition to the ways in which these theories can be applied to business, health, education public policy and artistic creation. The LIVELab is the only facility in the world that offers acoustic manipulation of the room in addition to the synchronization of brain response, heart rate, breathing rate, sweat response, muscle contraction and motion. When studying the audience, the LIVELab can analyze up to 32 participants simultaneously, where the average lab may only be able to hold one to five participants comfortably with these technologies. Through unique architectural designs, including room-within-room construction, a floating floor, a concrete outer ceiling and acoustic panels, the LIVELab is thousands of times quieter than a typical classroom, with a background noise level of only 10 dB. With this advantage, researchers can use the Meyer Sound Active Acoustic System to digitally recreate any kind of environment, from a cathedral to concert hall. This system can also recreate sound to simulate real environments, including restaurant ambient noise, for example. The Active Acoustic technology helps in studying hearing aids in realistic environments, music in different acoustic environments and showcasing uniquely sounding performances. Using a simple, unobtrusive and lightweight transmitter, researchers can capture muscle activity from up to eight separate channels, in addition to biological activity and temperature. By studying the changes in audience physiology in response to a performance or media piece, researchers are able to track changes in heart rate, provide live feedback to performers, see muscle use measurement from moving participants and much more. With a wall of nine Mitsubishi low bezel screens, researchers at the LIVELab are able to present image or video to the audience in order to study stimuli in research studies, market research or presentations. This model of screen was selected as they do not produce noise while in operation. The stimuli presented through these screens can also be synchronized with the response tablets in any given study. Using a Qualysis Motion Capture System, researchers can precisely capture the motion of audience members and participants. All of the markers in this system are simple and can easily be placed on desired joints to capture movement throughout the room. 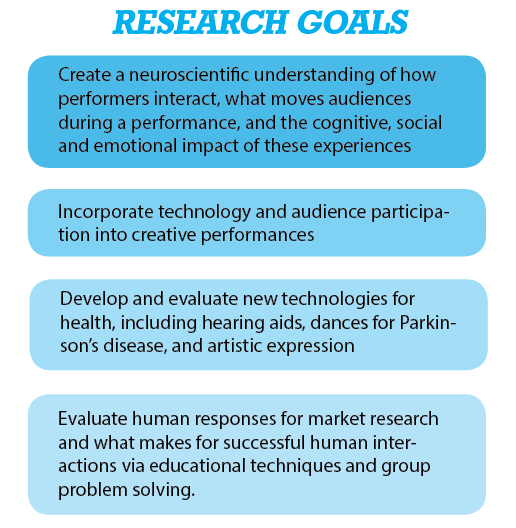 Motion capture technology helps in the study of movement in Parkinson’s disease, the movement of dancers and musicians, and capturing the positions of audience members’ heads for further market and health research. KEMAR is a manikin that has calibrated binaural microphones, which can record sound the way in which a real human would hear, allowing the possibility to have recordings of the LIVELab’s sound environment as any real participant would have. This technology can help in hearing aid testing, archiving performances and unique media. 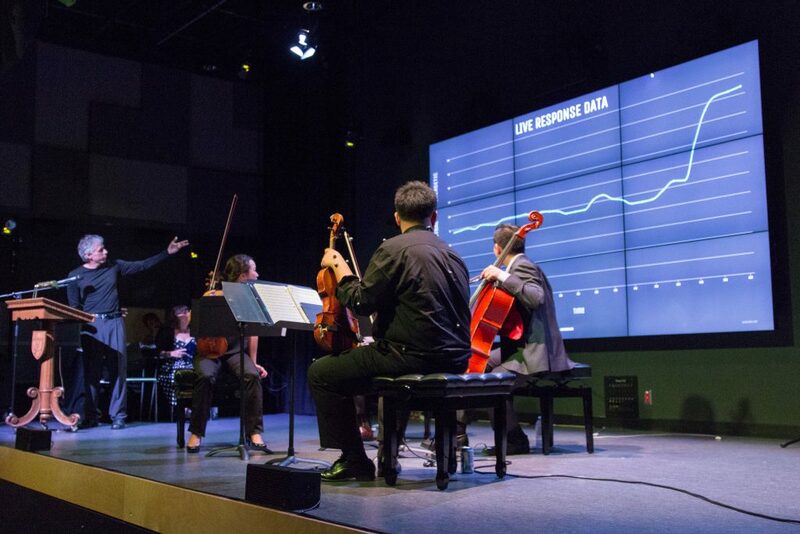 As a collaboration with CoBALT Connects, the LIVELab features a space of 100 Android tablets that can collect live responses from audience members during performances or multimedia presentations. This technology is increasingly valuable to market research, behavioural studies and audience feedback during performances. The LIVELab is used for several outreach events throughout the year. Their 10dB concert series, launched in 2015, takes advantage of the room’s technology in order to hold unique performances throughout the school year. 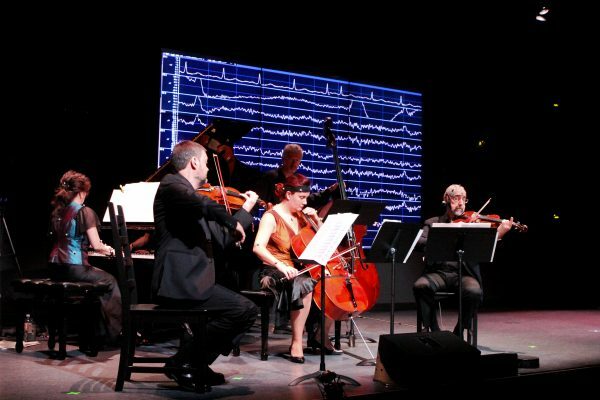 In the lab, researchers are able to monitor the heart rate and/or brain activity of the artists and enable audience reactions in order to influence the production or performance. This year’s concert series will include Darcy Hepner and Rufus Cappadocia, The Madawaska String Quartet, Adi Braun and Diana Panton. There will be a mix of jazz, cabaret, rock and classical performances in the space. All date listings be found on the LIVELab’s website by September 8. Outside of events, the LIVELab continuously invites individuals to participate in a variety of studies that are being conducted throughout the year. Anyone can sign up to join the participant pool on the McMaster LIVELab website.